It is dance recital season here at the Weinberg Center and we are hosting numerous talent-filled performances. One of these shows is entitled “An Attitude of Gratitude” and performed by 24/7 Dance Studio. I visited the studio and was given a tour of their space. Over the course of the 16 years they have been open, they expanded from the original two studios to five. I was impressed by what they offered in their set-up, such as a homework area for the students and televisions in the lobby so that parents could watch classes. I also had the opportunity to sit down with Susan DesRoches, the Marketing Director of 24/7, and ask her some questions about the studio and the upcoming recital. 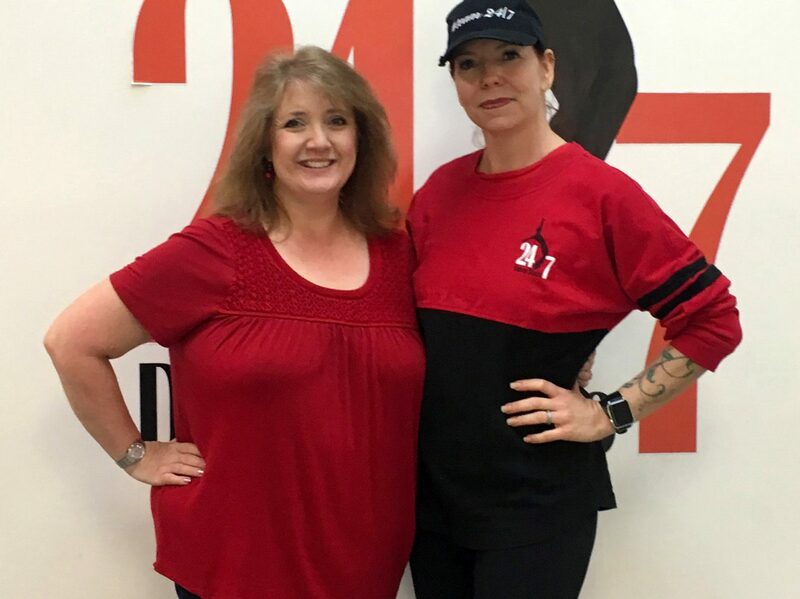 When was 24/7 Dance Studio founded? The owner, Miss Gina Korrell, opened the studio in 2002. She wanted a place where anyone of any ability could come and dance. What classes does the studio offer? What ages and levels of dance are offered? We currently have students aged 18 months and up in our gymnastics classes. We say our dance classes go from 2.5 to 99 years. What is the most popular dance class? Adult hip hop is currently overflowing. For more disciplined classes, I would say hip hop, jazz, and contemporary. Currently we have about 630 students. What are the studio’s overall goals? To continue offering a high quality of instruction. We want to keep providing a family feel, a comfortable place for people to dance, and give back to the community. What dance disciplines will be performed in the recital? Everything we offer except acting and gymnastics. The evening shows will end with an enormous finale with 120 people performing to “Sing” by Pentatonix. Staff, students, parents, everyone is involved with the finale. Prior to the finale, we have a special segment called “Senior Salute” where we send-off our graduating seniors who all perform a dance together. What does the theme “An Attitude of Gratitude” center on? The community and Frederick families have given so much over the years. We are grateful for our growth and ability. We have won Best of the Best with the Frederick News Post three years in a row and Best of Frederick in Frederick Magazine this past year. We wanted to dedicate and devote the recital to all of the families. Miss Gina chooses the theme every year. She thought about how lucky she has been through the years and how grateful she is for the staff, students, the whole support system. How is this theme portrayed throughout the recital? There will be an opening movie which features the kids talking about what they are grateful for. Our quality pieces will be shown to the families, showing the hard work and dedication students and staff put in. You can catch 24/7 Dance Studio’s performances on June 2nd and 3rd. Both days have a 1:00 PM Children’s Show and a 6:00 PM Evening Recital. Tickets can be purchased online at weinbergcenter.org, on the phone at 301-600-2828, or in person at the Weinberg Center. If you want to ensure you will be able to see this great performance, I suggest you act fast as tickets are selling quickly!